Tobacco is an amazing plant. 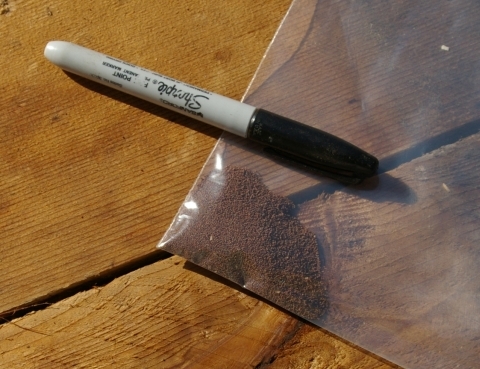 The seeds are tiny, dust really. It is not the easiest plant to start. It needs really rich soil and moisture. But you don’t want any mold. The seeds are tiny, and the plants at first are so amazingly tiny. They have tiny roots and can dry out in a very short time. So the soil has to be damp. The plant may double in size in a week, but still it is too tiny to have deep roots. You have to be extra careful watering. Finally it gets to be an inch or so long and now you have an over crowded pot. Very overcrowded. So you transplant them out. If you were able to keep them alive this long, you probably won’t have any more issues with them. after they get about a foot tall, they are one of the toughest plants in your garden. Here is one as tall as me in flower. Here are some seedpods on a plant about eight feet tall. Carefully I snap off the dry pods, trying to leave the rest of the plant alone. It is easy to take still maturing pods off if you are not careful. Here are some pods in a bowl. This is about a fifth of a single plants worth of pods. A lot of the seed has already shaken out. No worry, there is still lots of seed. After shaking the pods a bit, this is what I got. I did mention that they were tiny. Some of the pods still had seed in them so I pinched the tip of the pod off. 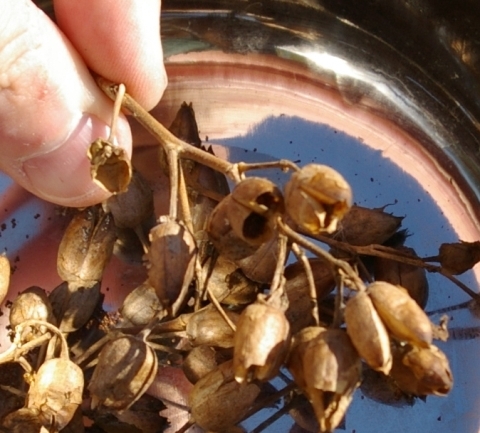 In the center of the photo, the open ended pod or pod pair is dark inside due to the mass of loose seed within. 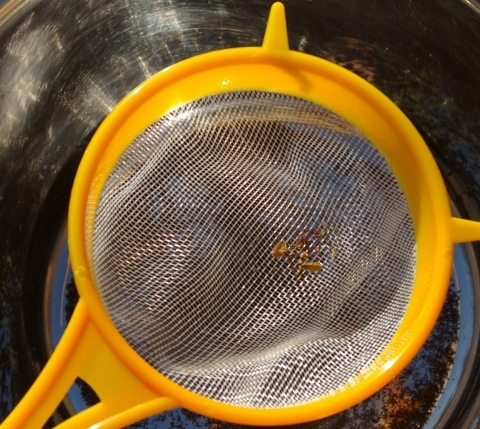 By pouring the seed through a screen, you can remove some of the chaff. Here is the final harvest from one fifth of one plant. This is a lot of seed. Almost all of them will sprout, and they will keep for years. After sprinkling them on fine rich damp soil, most of them will sprout. This particular variety is a Native Indian variety. I am still working on my curing method, I don’t have a sweat lodge to do it right, so I am still experimenting. I can afford to experiment, I just gathered seed from about thirty more plants. Hello—I’m now curing my first tobacco leaf harvest and am curious to know how you’re going at it. Hi, how far down the stalk do you cut if you want to harvest by cutting at the stalk? I just take the old leaves so I couldn’t say. Hi, i was wondering if the stems leading to the pods have to dry out or not because the pods have turned browned and cracked open. Some the pods have fallen off the plant. when i cure the leaves on my plants should i hang them in the dark and how long should i cure them for? If you tilt a pod over and tiny almost dust like seeds fall out, then keep those seeds, they are ripe. I have only collected from dry brittle pods, so my knowledge is limited. If you have several flowers and plants, then wait until the evening it is likely to freeze and then pull up a few plants and take then in where they will stay warm. If you bundle the roots, they may mature the seeds for you. You can also try collecting some of the fairly mature pods and drying them. Last but not least, they might still do, even if they freeze and then dry out. Try as many of these options as makes sense to you. 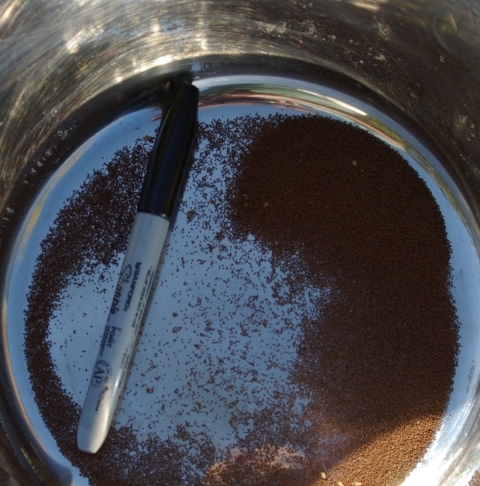 If you have one pod fertile, then you have more seed than you are likely to need. Ideally collecting seed from three plants or more means you keep a broader gene pool, but try the range. years. Been buy seeds ever year, will try what your doing. I have about 60 tobacco plants I plan on harvesting the seeds from when they’re ready. Thanks for the advice!